CEO & Founding Principal, Way to Grow INC.
Andy Fleming is CEO & Founding Principal of Way to Grow INC, the intellectual and practice home of the Deliberately Developmental Organization™. [See April 2014 HBR article below: "Making Business Personal."] Along with 25 years of corporate and consulting experience at leading companies, Andy brings unique insight, ability, and commitment to helping individuals and organizations flourish. Over his career, Andy has helped organizations and individuals achieve significantly greater levels of performance while operating from a deeper sense of purpose and commitment. 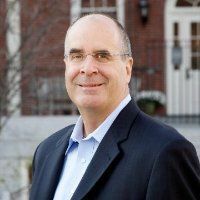 He has worked extensively with many senior executive teams and played a central role in creating and implementing large scale organizational and leadership development initiatives. Andy’s background includes corporate and consulting roles with Procter & Gamble, Aetna, and The Hay Group. He also spent five years directing professional and undergraduate programming in “Ethics and Servant Leadership” at Emory University’s Center for Ethics. Andy received his undergraduate degree from Yale University, where he majored in economics and captained the varsity basketball team. His graduate work includes an M.B.A. from Harvard Business School and sustained study at Emory’s Candler School of Theology. Author of two books on life-work choices (Getting Ahead Without Losing Heart and Backing Down the Ladder), and contributing author, An Everyone Culture: Becoming a Deliberately Developmental Organization, Andy and his wife and two children live in Atlanta, GA.